You Watch Fairy Tail Episode 102 online English sub free episodes with HQ / high quality. Stream Anime Fairy Tail Episode 102 English Subbed Soul of Iron. Gajeel and Levy fight Yomazu and Kawazu, who reveal they are merely scouting the island for their more powerful guildmates. 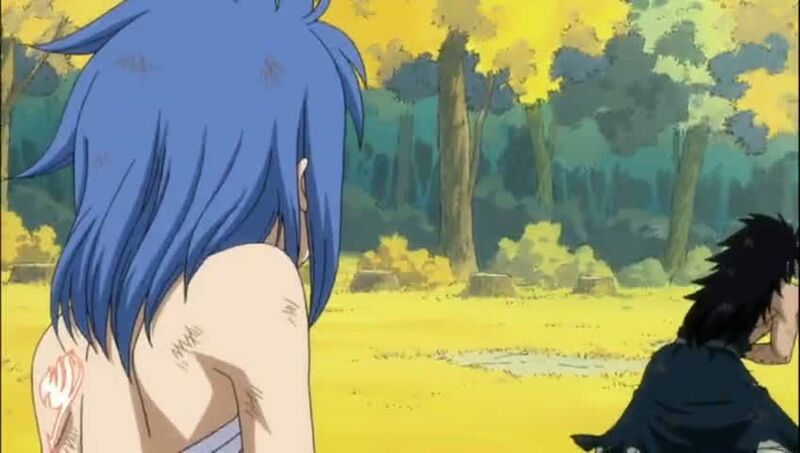 Though seriously wounded, Gajeel sends Levy to warn Fairy Tail of Grimoire Heart’s attack and defeats the two scouts. While searching for Wendy together with Juvia, Erza finds Levy and lights a beacon signifying the exam’s suspension and the enemy attack. Meanwhile, Charle and Pantherlily confront Mest over his identity.